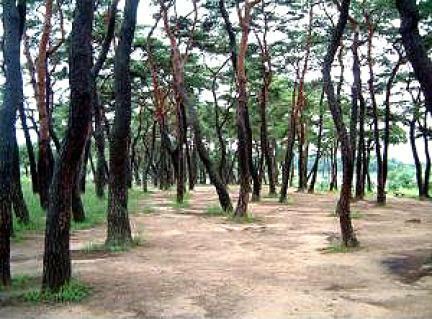 만송정 숲은 낙동강이 하회마을을 휘돌아 흐르며 만들어진 넓은 모래 퇴적층에 위치하며, 조선 선조 때 문경공 류운용이 마을 맞은편 부용대의 기를 완화하기 위하여 1만그루의 소나무를 심어 조성한 숲이다. 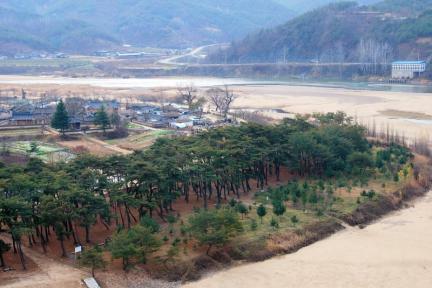 하회마을, 백사장, 낙동강 그리고 부용대 등과 어우러져 경관이 뛰어난 마을숲으로 경관적, 역사적, 문화적 가치가 크다. 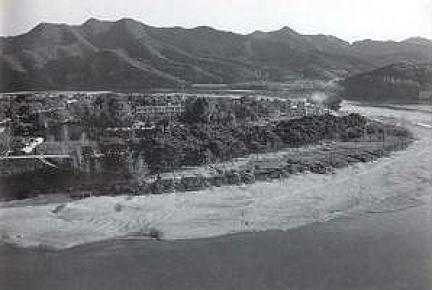 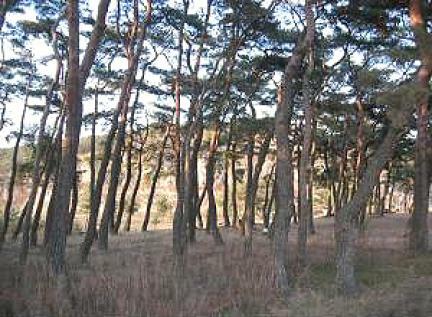 This pine grove is located on a broad sedimentary sand layer of the Nakdonggang River at the point where it winds around Hahoe Village. 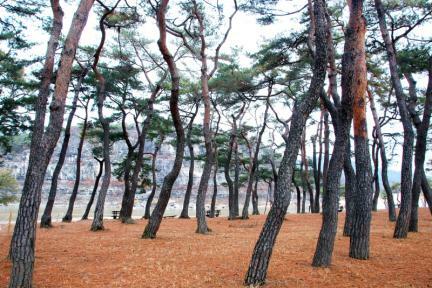 It was created during the reign of King Seonjo of the Joseon Dynasty by Ryu Un-yong (1539-1601), who planted 10,000 pine trees here in the hope of mitigating the wild energy of Buyongdae, a cliff on the other side of the river. 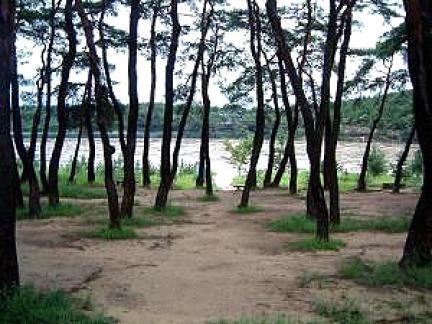 Mansongjeong, meaning “The Grove of Ten Thousand Pines,” creates a beautiful scene along with the village, sandy beach, river and cliff. 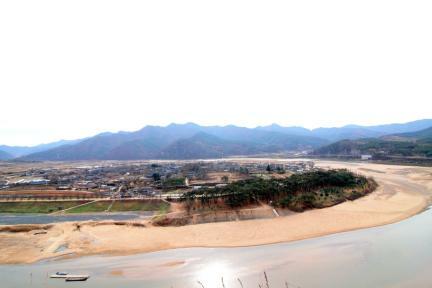 It has great scenic, historical and cultural value.